The Google Pixel is the closest Android gets to an iPhone-like experience, but it's not quite there yet. It's the best Android flagship today, but that's not enough to justify it's price. If you want to push Android to its limits, the OnePlus 3 is a more value-for-money purchase. I have always been fascinated by the Nexus brand of smartphones from Google. They offered the smoothest Android experience, were well designed and made for very attractive products. My love for the Nexus-line has been well documented in my reviews over time, but just in case you missed those, here's more proof. 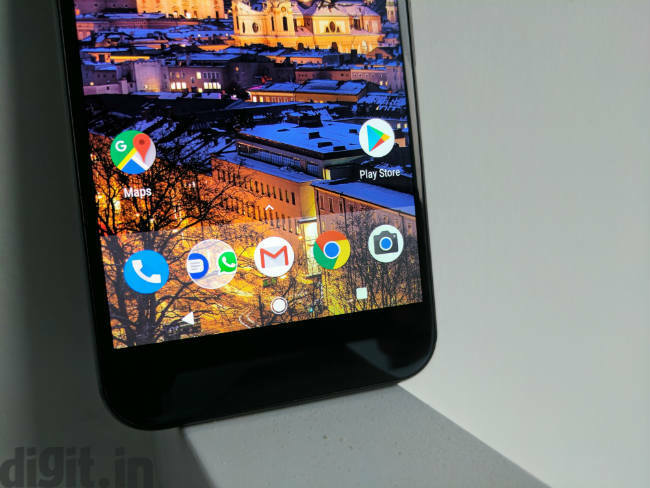 At the Pixel event in San Francisco, Google officially killed the Nexus brand, adding its smartphones to the Pixel line (for the uninitiated, Pixel was/is Google’s brand of unsuccessful Chromebooks). The hallmark of a Nexus devices was that they appealed to the geeks and were affordable. The Pixel phones have taken a different route. They are priced in the premium range, and with state-of-the-art hardware. But is this enough for Google to succeed in against the Apple's and Samsung's of the world? The back of the device is unique, with glass on top and metal at the bottom. If you hide the glass part of the phone its easy to mistake it for an iPhone. That’s probably why Google introduced the half glass back as I see no or very little utility to it. The metal body would clearly do a better job of heat distribution. The glass may help in better antenna performance, but then, the Pixel doesn't do any better than others either. I love how light the Pixel is. It weighs a mere 143 grams, making it one of the lightest smartphones I’ve held recently. 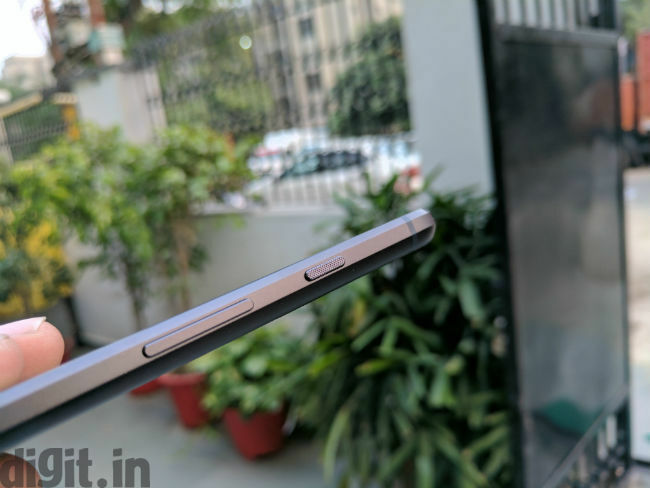 The weight distribution is good and it is a mere 8.5mm thick. Coupled with a 5-inch form factor, it is one of the best smartphones for single handed use. The fingerprint sensor on the back is easy to reach and responds fluidly. 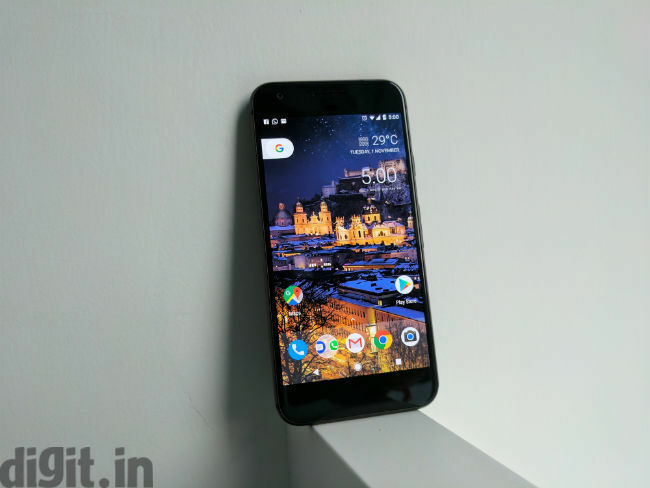 I think the Pixel is a fantastic phone as far as the build and design are concerned. It feels light, but not fragile, it's meant for one handed use, and it fits in the palm of my hand with ease. Moreover, the rounded edges make it a tad more ergonomic, giving the iPhone 7 a run for its money in this department. The only downside to the phone is that it has a mono speaker. I have grown used to stereo speakers on a smartphone. Even the iPhone 7 has a stereo speaker setup. But, the mono speaker is loud enough (even louder than the Xperia XZ’s stereo setup) so I’m probably nit-picking here. The Pixel has a 1080p AMOLED display and it is gorgeous. At its brightest, it shows 709 lux, when tested with a luminance meter. It can also go down to 10 lux, which is quite good for those prone to using their phone in the darkness. As far as brightness, colour reproduction and overall display performance is concerned, there's really nothing to complain about. 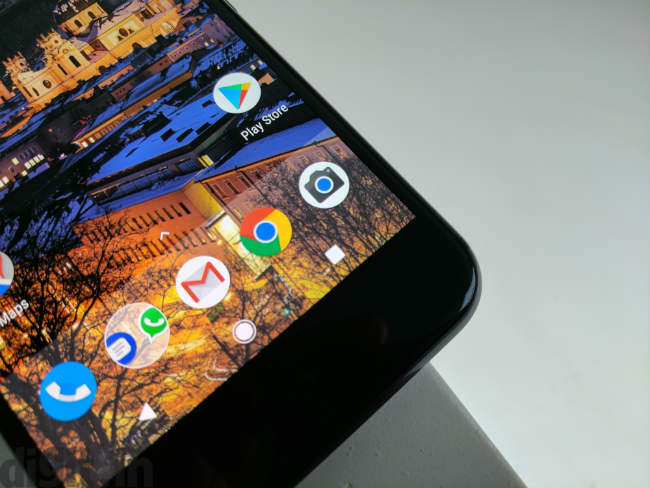 Just like the Pixel XL, the touch response on the Pixel is great, and it feels premium. The contrast is top-notch, similar to the new iPhones. The Pixel’s display can feel a bit dull with adaptive brightness on and I found myself readjusting the brightness slider especially in outdoor conditions. The display is one of the best you can get today. It is easily one of the best 1080p displays available on a smartphone today. When it comes to the benchmark scores, there are some places where the Pixel performs better than the XL and some where the Pixel XL excels. Here is a look at the benchmark scores of the Pixel when compared to other flagship devices. It's clear that the iPhone 7 and iPhone 7 Plus are far ahead, which isn't a surprise. Coming to everyday performance, the Pixel is smooth. Very smooth. There isn’t an app that didn’t open instantly, or any game that stuttered with performance and any app that crashed. 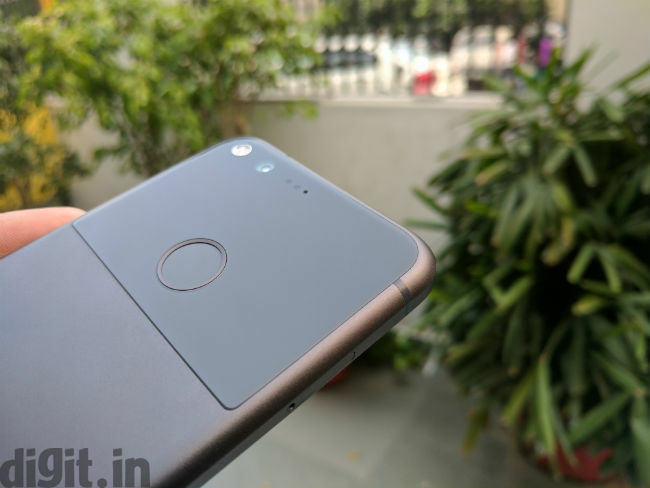 From quickly opening the camera app with a double tap of the power button, to using Android 7’s muti-window capabilities, everything ran Pixel Perfect (pun intended). With everyday performance, I have no complaints with the Google Pixel. If there is one thing we’d like to talk about, though, it's how warm the smartphone gets. The Pixel can get quite hot. During 4K video recording the smartphone reached 46 degrees in about 10 minutes, while during gaming I managed to get the smartphone up to 41 degrees Celsius. The metal part of the phone dissipates the heat more, so that's where you'll feel most of it. While heat dissipation is good, these temperatures should ideally be lower on a smartphone. You won't feel much heat on the top part of the back, though. In the long run, heating may reduce the life of the hardware inside. Coming to the UI, Google has a done a fantastic job. There are a few things here which I liked. For example, you can schedule the wallpaper to change every day if you like. You can get the Google assistant to call you Batman and the overall fluidity in animation just makes everything look pretty. Google Assistant is brilliant yet stupid. For example, I can ask it the most complex math question, ask for directions, set reminders, find movie reviews and more and it works brilliantly. But if I say, “OK Google, lock this phone” or “OK Google, lock the screen”, it refuses to do it ,which is a bummer. Another thing is if you are training the device to your voice, we recommend doing it in a slightly noisy environment. 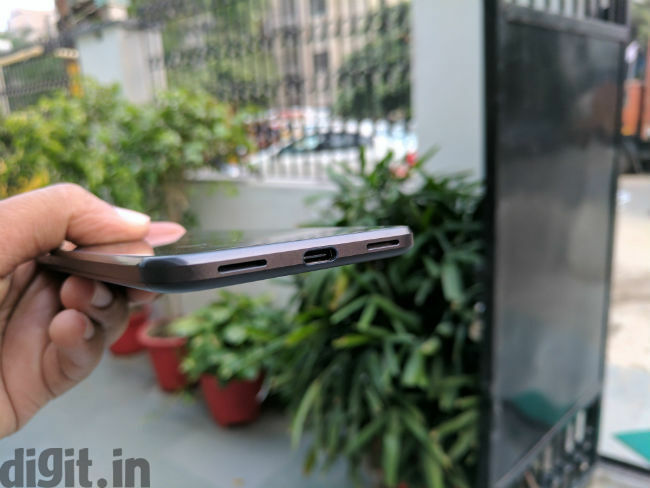 This makes it easier for the phone to recognise your voice amidst ambient noise. If you want to know how Google Assistant compares with Siri, you can click here and find out. Overall the performance is state-of-the-art and the UI is butter smooth, but it's still far from iPhone level smoothness. It's the closest Android has come to it, though. 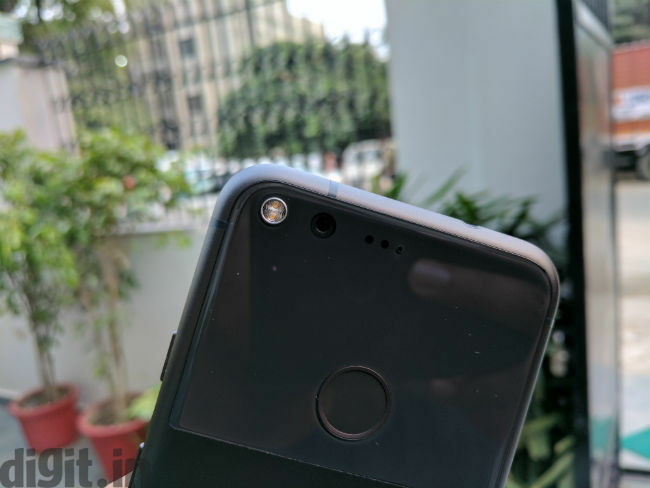 Since the camera of the Pixel and the Pixel XL are the same I'd like to redirect you to the Pixel XL review to read about the camera performance. On the PC Mark test, the smartphone lasted for 8 hours and 19 minutes, which is respectable, but not ideal. It's a whole hour more than the Xperia XZ and we can easily say that in real world usage the smartphone matches the battery life of the iPhone 7. As mentioned above, though, this isn’t the best. Phones like the OnePlus 3 can last longer. Coming to real world performance, the device can last for one day of above average use, which is again good, but not ideal. Yes, I have seen better battery performance from devices such as the iPhone 6s Plus and One Plus 3, but the Pixel's battery life isn’t bad by todays smartphone battery life standards. 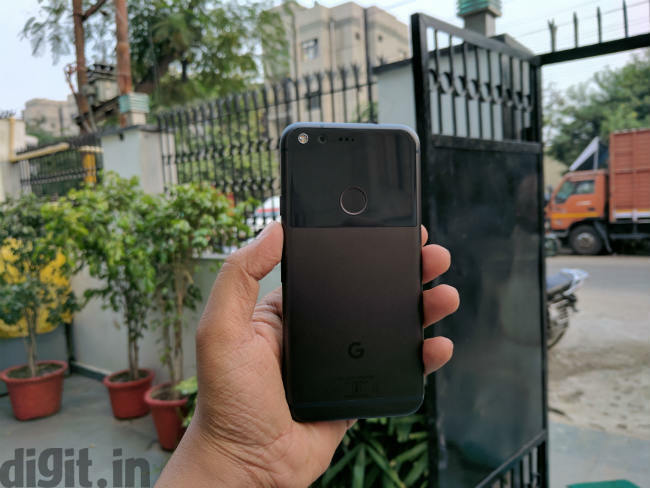 If you're an Android enthusiast, and you want to push your phone to the limits, while assuring first day updates, the Pixel is indeed for you. However, so is the OnePlus 3. At Rs. 57,000, I want more than just a functional device. It seems the best of Android is still, only functional, and far from iPhone-level performance. The Pixel matches the iPhone camera, and even surpasses it at times, but overall, it's not in the same league as the iPhone 7. This, from an out-and-out Android fan. In fact, the Pixel is more of a threat to Android flagships, than it is to Apple's bread and butter. It does have a headphone jack, though.